LAKE SUCCESS, N.Y., August 2, 2010 – DealerTrack, Inc., a subsidiary of DealerTrack Holdings, Inc. (Nasdaq: TRAK), a leading provider of on-demand software and data solutions for the U.S. automotive retail industry, today announced that the number of active financing sources connected to the DealerTrack network has reached 900. "We’re pleased to have connected our 900th lender – substantially more than other auto finance networks," said Mark O’Neil, chairman and chief executive officer of DealerTrack. "Growth of the number of lenders on the DealerTrack network has clearly accelerated over the last year, reflecting the renewed interest of lenders in the auto financing market, as well as our continued success in bringing regional banks and credit unions on board. By providing dealers with free online access to such a broad lender universe, we are helping them sell more cars by expanding their financing relationships." Through DealerTrack, dealers can electronically submit credit applications to the industry’s largest and most diverse network of banks, independent finance companies, captive finance companies, credit unions and regional banks. The integrated DealerTrack Performance Suite is the industry’s most complete offering of high-value automotive management software, including Dealer Management Systems (DMS), Inventory Management, Sales, F&I and Compliance solutions. DealerTrack’s intuitive and high-value software solutions enhance efficiency and profitability for all major segments of the automotive retail industry, including dealers, lenders, OEMs, agents and aftermarket providers. Our solution set for dealers is the industry’s most comprehensive. DealerTrack operates the industry’s largest online credit application network, connecting more than 17,000 dealers with over 900 lenders. Our Dealer Management System (DMS) provides dealers with easy-to-use tools and real-time data access that will streamline any automotive business. Dealers using DealerTrack AAX get the inventory management tools and services needed to accelerate turns and increase profits. Our Sales and F&I solution enables dealers to streamline the entire sales process while structuring all types of deals from a single integrated platform. DealerTrack’s Compliance solution helps dealers meet legal and regulatory requirements and protect their hard-earned assets. DealerTrack’s family of companies also includes data and consulting services providers ALG and Chrome Systems. 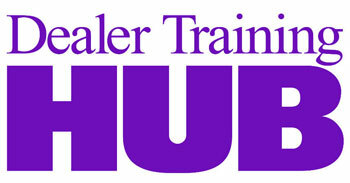 For more information, visit www.dealertrack.com. Statements in this press release regarding additional financing sources joining the DealerTrack network, the benefits to dealers of the DealerTrack network and all other statements in this release other than the recitation of historical facts are forward-looking statements (as defined in the Private Securities Litigation Reform Act of 1995). These statements involve a number of risks, uncertainties and other factors that could cause actual results, performance or achievements of DealerTrack to be materially different from any future results, performance or achievements expressed or implied by these forward-looking statements. Factors that might cause such a difference include success in expanding our customer base and product and service offerings, connecting additional financing sources to the DealerTrack network and other risks listed in our reports filed with the Securities and Exchange Commission (SEC), including our Annual Report on Form 10-K for the year ended December 31, 2009. These filings can be found on DealerTrack’s website at www.dealertrack.com and the SEC’s website at www.sec.gov. Forward-looking statements included herein speak only as of the date hereof and DealerTrack disclaims any obligation to revise or update such statements to reflect events or circumstances after the date hereof or to reflect the occurrence of unanticipated events or circumstances.